May 24, 2016, 4:29 p.m. 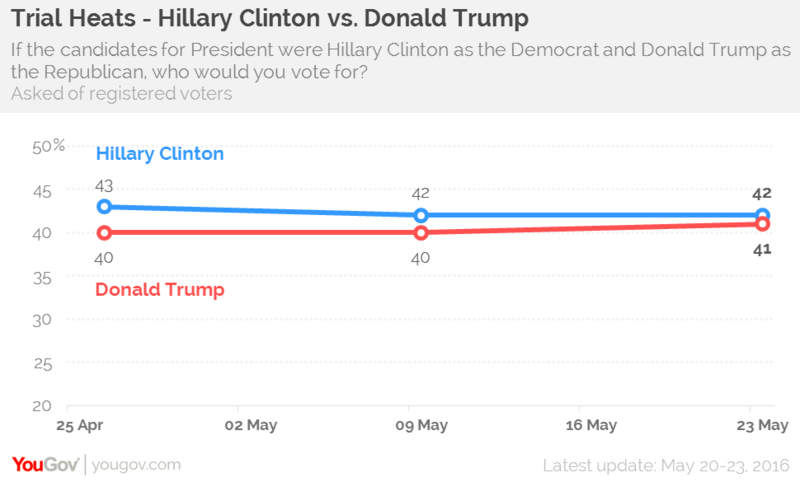 This is a summary of a YouGov/Economist Poll, conducted May 20-23, 2016. 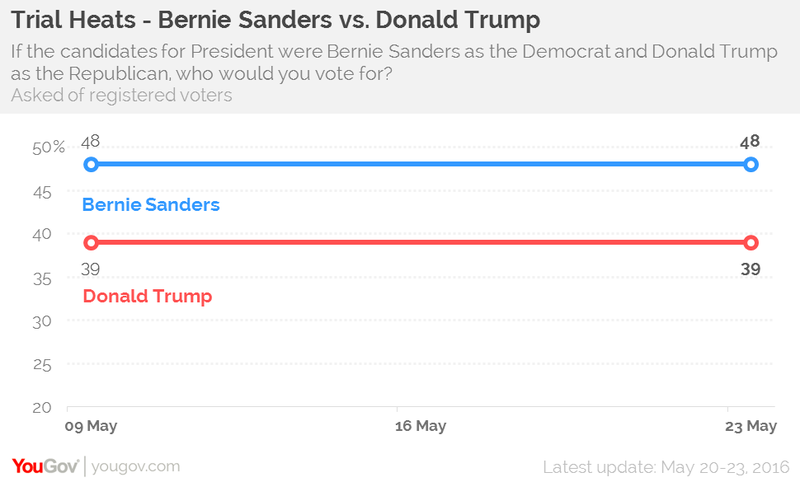 Only half (50%) of Sanders supporters pick Clinton over Trump in the general election trial heat, down from 55% last week. Most of the remainder choosing "Not sure," "Someone else" or "I would not vote" – only 11% pick Trump. 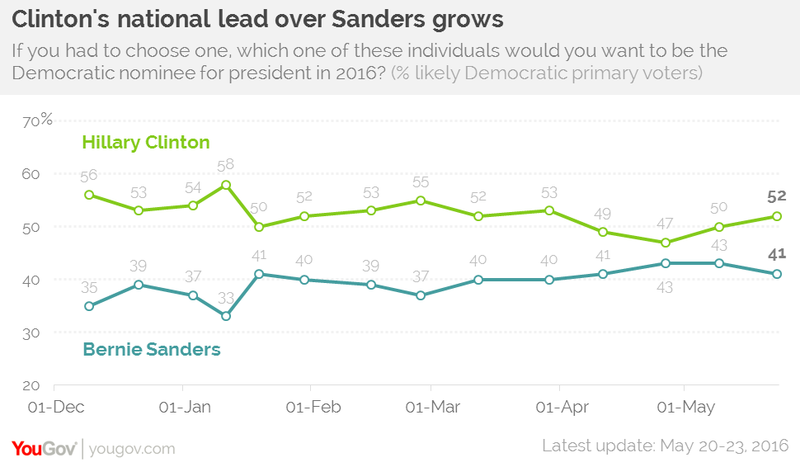 One third (33%) of Sanders supporters believe Sanders is more likely than Clinton to end up the nominee. 46% of Americans say violence is "likely" at this summer&apos;s Democratic national convention. Asked whether Donald Trump should release his tax returns, 61% of US adults say yes, and only 21% say no. 58% of Americans are concerned about the possibility of a Zika virus epidemic in the United States. 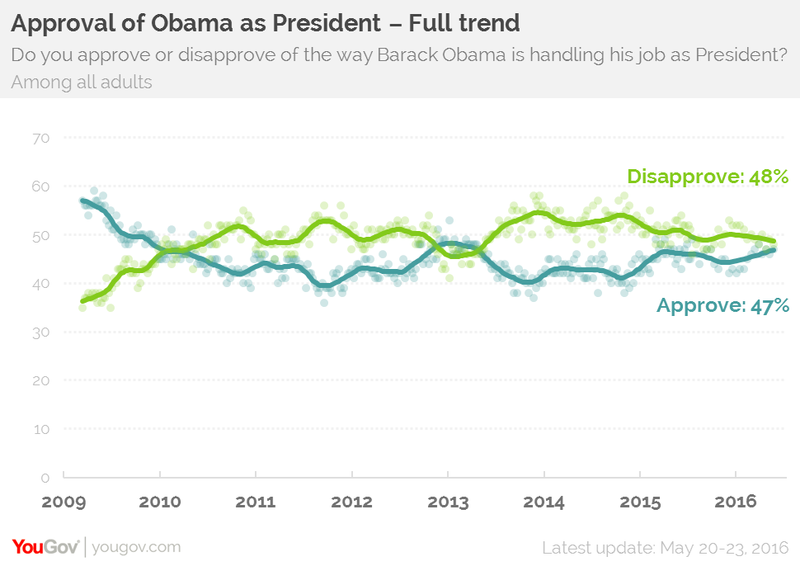 It was 54% in a survey conducted April 22-26. 38% want the US government to spend more on Zika virus research; 34% want no change in spending, and 7% want less spending. 60% favor and 30% oppose allowing women to join military combat units, where they would be directly involved in ground fighting. 72% of Americans believe the government is run to serve "a few big interests" rather than the benefit of all. 68% believe the government wastes "a lot" of tax money. 61% believe "quite a few" of the people running the government are "crooked". For additional questions and detailed demographic breakdowns, see the full questionnaire here. The Tracking Report can be found here.